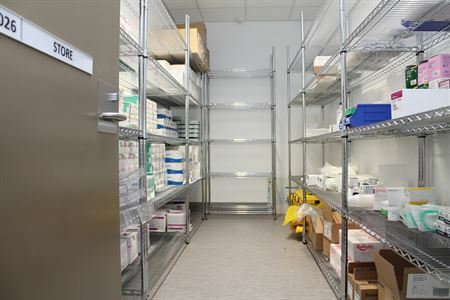 Sterimesh™ Wire Shelving is ideally suited to most areas within a hospital including: Store rooms, CSSD, Operating Theatres, Sterile storage area, Emergency department, Laboratories and research units, Wards and recovery units, Outpatient clinics, Anaesthetics & ICU. 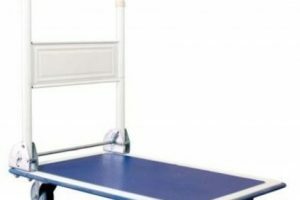 It is available in both mobile and static units and features a large range of accessories. 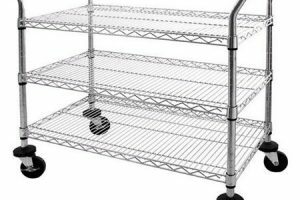 The wire shelves are fully adjustable making it the perfect choice when storing irregular shaped items. 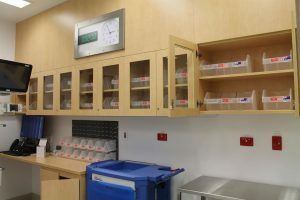 Sterimesh™ Shelving creates a clean and sterile environment and saves time and effort normally spent on cleaning other systems using steel, timber or plastic shelves. This system offers simple to build and stylish storage solutions. 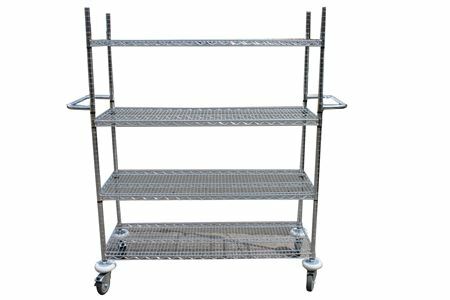 Capable of holding up to 200kg per shelf level UDL. **Mobile Bays are 130mm higher. 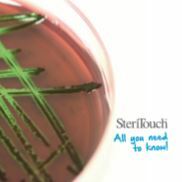 SteriTouch ® is an Antimicrobial & Antibacterial light grey powder coat applied to our wire shelving range. 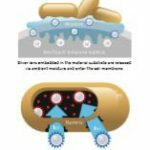 Protecting yourself, products and patients against bacteria, algae and mould has never been easier. The antimicrobial properties of ionic silver will work continuously for the lifetime of the coating to deliver protection against infection-causing bacteria such as MRSA, E.Coli and Salmonella. 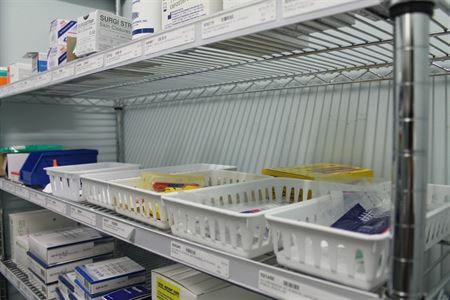 Medical Trolleys & Carts allow safe movement of instruments, products, sterilised and unsterilised trays, documents, linen, medicines and other devices throughout a medical centre. See below for our basic range of products & sizes. 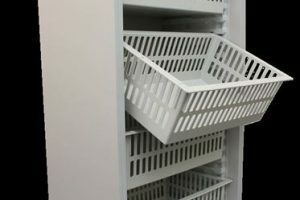 The entire Hammerlit® 40/60 System is based around the uniquely designed side panels and ABS plastic baskets & trays. The units are designed in either E (600mm wide) or U (400mm wide) configurations. 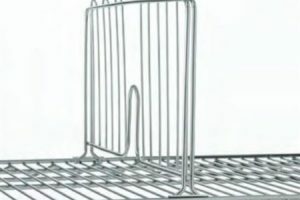 Baskets can be 50mm, 100mm or 200mm in height, & can have closed or open sides. 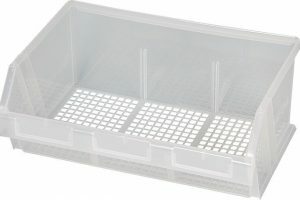 Each tray comes with a stop clip to eliminate risk of tray falling out of the cupboard. 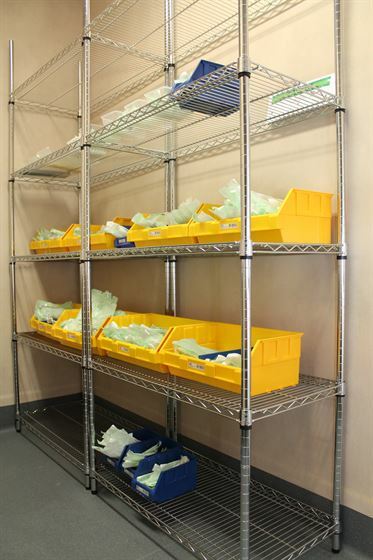 Each tray is set up with divider slots at 30mm increments to create a large range of compartment possibilities. Hammerlit 40/60 Side Panels come in 543W x 644H (for 400W trays) or 359W x 644H (for 600W trays). 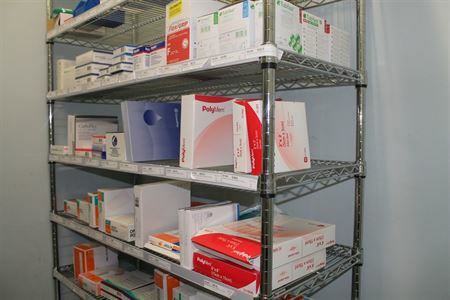 Storeplans perforated ‘Mesh Pak’ plastic trays are a perfect dust-free & hygienic storage solution for medical environments. Choose from 4 sizes in blue, white or clear. 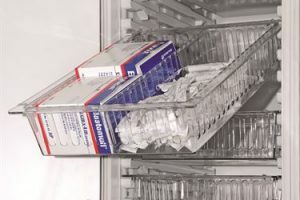 Made from chemical resistant Polypropylene Hospital (Food) grade material, can be used as part of a trolley system with louvre panels or as stand-alone storage trays. 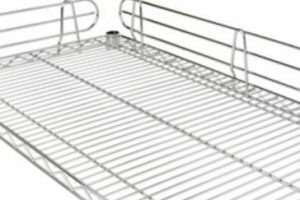 We have many other options for storage trays in hospitals, health care centers and clinics: click HEREfor more options.